Now a days, we are uploading files like Profile images, Video files OR excel files in our web application. With uploading these files there are chances some user upload the .exe file (Virus) by renaming the .exe into .jpg, which can damage website. Answer is check the Mime of file before get uploaded in your web server. If this extension is not enabled ask your server admin, he will do this for you OR you can also do this your self (http://php.net/manual/en/fileinfo.installation.php). After installing the fileinfo extension, use following code to get the mime type of file before get uploaded in web server. When you execute above code, if will get the mime-type of file. This is directly checking the mime type of already uploaded file. You can use $type = finfo_file($finfo,$file); for checking the file type, before using move_uploaded_file function. Top 10 PHP Interview Questions and Answers. PHP Questions and Answers for experienced. PHP Difficult Interview Questions and Answers. How to Detect Request type (GET OR Post ) in PHP. PHP Basic questions and answers for fresher and experienced. PHP Mysql Interview Questions and Answers for fresher and experienced. PHP interview questions and answers for 5 year experienced. PHP Frequently asked Questions and Answer 2015. PHP problem solving interview questions and answers for Fresher and Experienced. PHP Interview Questions and Answers for 2 year Experience. What is stdClass? and How to create stdClass class?. Advanced PHP Interview Questions and Answers. SPDY Protocol - Improve the Speed of web page. PHP Technical Interview Questions and Answers for Fresher and Experienced. How to stop parsing the HTML tags?. Difference between Notice and warning and fatal error. Object Oriented Programming in PHP. Htaccess RewriteRule Flags by Code Example. Enabling the openssl in Wamp-Xampp. How to find day of week in php in a specific timezone. Zend Cache Tutorial - Zend Framework 1.12. Important PHP Interview Questions and Answers - jQuery, SQL Modes, Client Programs and Reset. 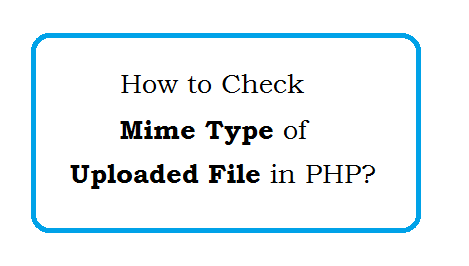 PHP Check Mime Type of File - Return Information About A File. PHP Captcha Code Example Code Snippets. PHP - Secure Ajax Call from Hackers - Example. Zend Database Query - Zend Profiler Example - Code Snippets. Export to CSV File - PHP. OOP Interview Questions and Answers. PHP Interview Questions and Answers PDF. Stored Procedure - Advantage of Stored Procedure - Disadvantage of Stored Procedure. How To Track the Real IP Address Behind the Proxy - PHP - REMOTE_ADDR. Pending Interview Questions and Answers. Cache in PHP - Speed Up your website. php interview questions and answers for 1 year experience. PHP Interview Questions and Answers for Experienced. Difference between Abstract class and Interface in PHP. Concurrent Connections of Apache Server. php interview questions and answers. What is Zend Engine in PHP. SQL Injection Attack - PHP & MySQL.